From the very day the project was announced, at Galben we were certain that to count with a Convention Center in Palma de Mallorca is a very important issue, and a key element for convention tourism on the island. Years went by and what was meant to be an icon of a modern city located at city entrance was slowly becoming a ghost building, a symbol of excesses in the years of the real-estate bubble and of unrestrained public spending. However, our hopes hadn’t completely disappear and when we read that the works were almost completed and could be visited, we called to reserve a guided tour. Our visit to the Convention Center was a pleasant surprise, both due to the project’s functionality - every last detail is designed to make the attendees enjoy the facilities - and due to the indirect natural lighting or the visual and sound insulation, which make moving from one point to another feel incredible. Within it, one feels at sea, not only for the incredible views of the promenade, but also because of the use of recycled aluminum, used for building ships, combined with the warm African padouk wood. The fact that it is a mere 50 meters away from the beach, 10 kilometers away from an international airport, and a 10-minute walk away from the center of Palma proves that the Center’s location is ideal. It counts with an incredible 2,340 m² exhibition hall, two auditoriums and a wide array of meeting rooms and unique spaces. 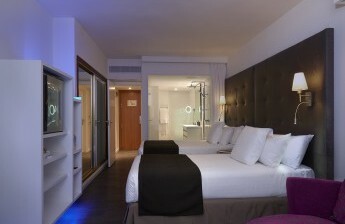 It also counts with a 4 star hotel that is directly connected to the conference center. The elevators and escalators lead up to the restaurant, which can serve more than 600 people, almost the same amount of clients that can use the outdoor terrace. 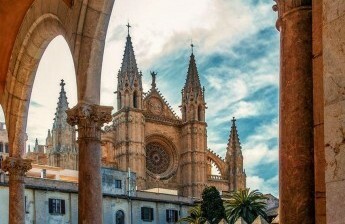 We are convinced that the Convention Center of Mallorca will turn the city into a perfect business destination, contributing to the growth of urban tourism in Palma and also answer to the needs of the business sector; and it will be a great way to attract big promoters to organize their conventions and large events on the island.